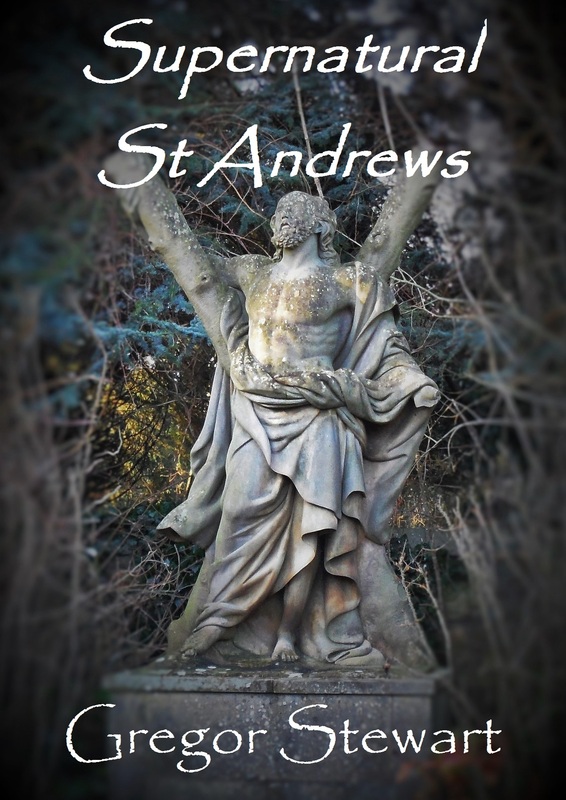 It’s been a long time coming, around 20 years between first starting to gather the ghost stories of the town to finally finishing the research and compiling the tales into one volume, but finally Supernatural St Andrews is finished. I am really pleased with how this book has come out, and I believe it to probably be the most historically complete collection of ghost tales from the town, with the background to all of the main ghosts uncovered and long forgotten spooks and stories re-discovered. With maps and plenty of photographs, readers can easily visualise the various locations as they read about them, and people visiting the town can follow the routes or I will be more than happy to offer personalised tours for small to medium sized groups whenever possible, please use the ‘contact’ section on this page if you are interested. The book is available on Kindle now, with the paperback to follow soon. This book is also the first in a new venture, Haunted Publishing. Loads of work ahead of me! 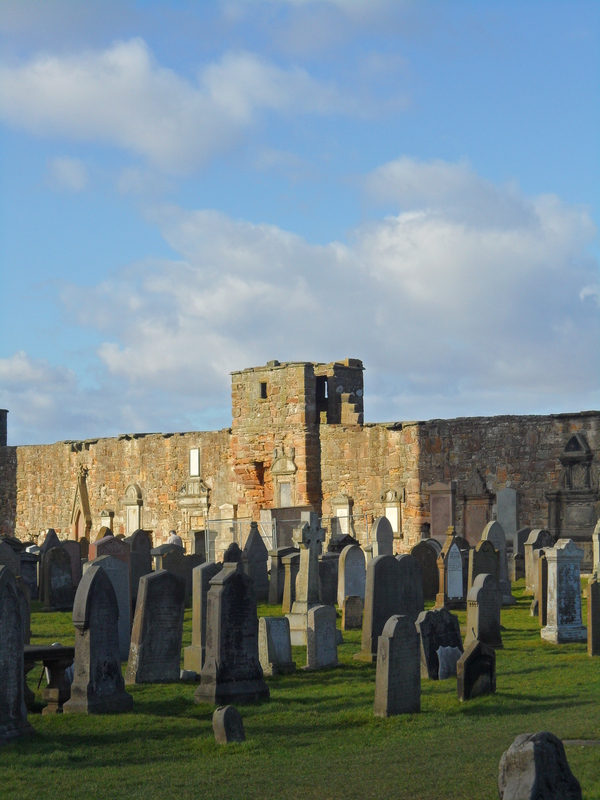 As part of the research for my new book ‘Supernatural St Andrews’, one of the key things I wanted to do was to gather as many photographs as I could to allow the reader the be able to visualise the locations behind the stories. A picture is worth one thousand words, as they say. Unfortunately repairs have been ongoing at one of the key sites, the Haunted Tower, home of the infamous White Lady of the cathedral, and where a secret chamber was discovered containing coffins with well preserved bodies, giving the appearance they had just been buried, despite the fact that in the two hundred years of earlier records available, there was no mention of the tower ever being used for burials. A request for the fencing around the tower to be removed to allow me to take a photograph was granted, although one section had to be left due to shuttering around a tombstone making it difficult to move. 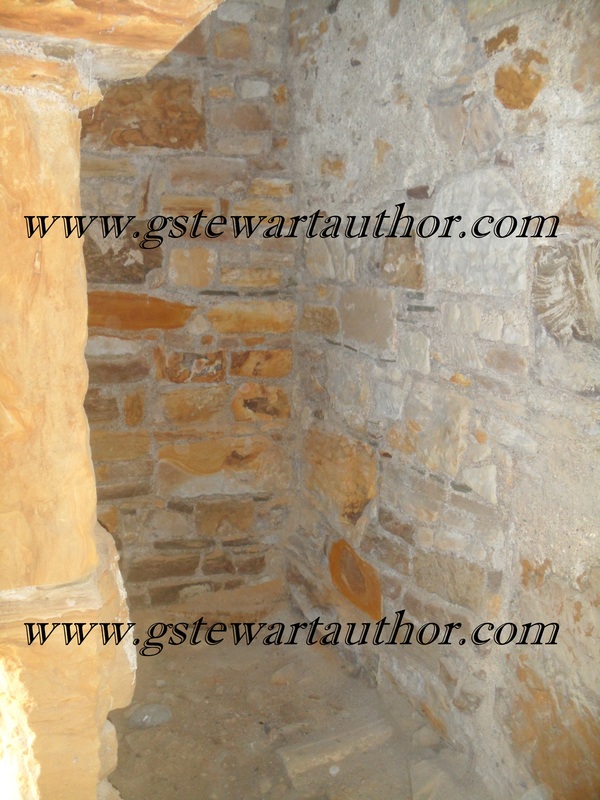 While seeking permission, I also asked if I could view inside the tower, which is kept locked and is not open to the public and, after some form filling, Historic Scotland said yes! The chambers inside are far smaller than I ever thought they would be, and it is difficult to see how up to twelve coffins could have fitted inside, but I am reliably informed they were placed in a standing position lining the walls. In such a small, cramped space it was also difficult to take decent photographs, but I managed to get a couple, with the one below being the alcove that Dean W.T. Linskill, the recognised authority of his time in local ghostlore and author of the 1911 book ‘Haunted St Andrews’, stacked the coffins after he had the crypt, which had been bricked up, opened in the late 1800’s. The coffins, which had been found to be empty at that time, had started to disintegrate. What happened to the bodies in the twenty years that had passed since the chamber was last opened remains a mystery. Despite the difficulties their size caused, I really did feel quite privileged to stand in these tiny chambers, where so few have ever stood before me and where so much mystery still lies, to experience the atmosphere for myself. 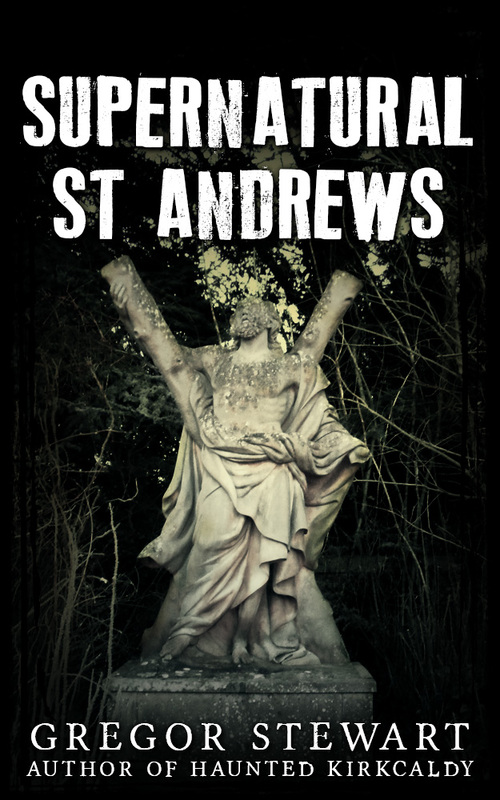 The full story of the tower will be in Supernatural St Andrews, available for pre-order very soon. The title says it all, it’s been a while since I posted! An ongoing and worsening shoulder injury has made the work on my new book slow going! Still, it’s almost there, and at around 45,000 words and 70 plus photographs will be a decent sized book. I now have a mock-up for the cover, which I’m pleased with though might want to change the font for the text. I have been writing for almost a year now, initially short paranormal stories and now collating the years of visiting haunted locations together into e-books. The first novelette I wrote, Rise of the Witch, has now been extended (at the request of readers) to a novel. I have recently had a proposed book accepted by a main publisher looking at local ghost stories, so decided it was appropriate to take the step into proper blogging, so here goes! I’ll be coming back on a regular basis to update the blog and will be sharing some of the photographs and experiences I have during exploring reputedly haunted places, as well as details of how the fictional work is going.